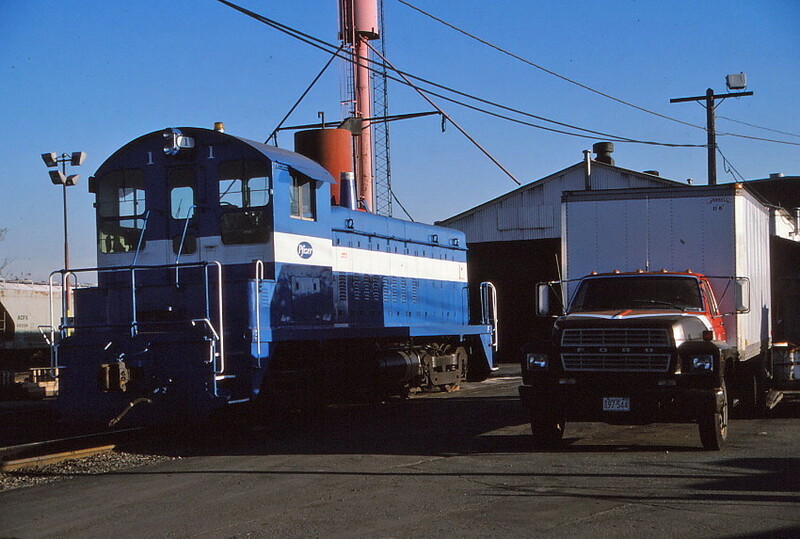 SW8 Pfizer 1, an ex Rock Island unit, was picked up by Pfizer at the Rock Island shops in Silvas, Illinois. Photographed by Bruce Macdonald, October 29, 1986. Added to the photo archive by Bruce Macdonald, November 6, 2018.